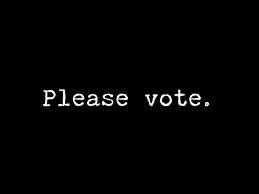 THE MARTINI CHRONICLES: Vote....That Is All! Greetings Divas and Gents! 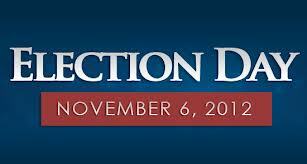 As many of you know, tomorrow is Election Day in the United States. Now, I won't bore you with a recap of the fascinating history of voting rights in the United States. Nor will I use this post to convince you to vote for the candidates that I intend to vote for tomorrow. What I will do is encourage you to get out and vote tomorrow. Do not be deterred by long lines and inconvenient circumstances. For those of you affected by Hurricane Sandy, do not allow on-the-surface obstacles stop you from exercising your right...being displaced does not mean you have to be disenfranchised. In short, PLEASE GET OUT AND VOTE! - DO be sure to bring your government-issued identification...can't vote without it! 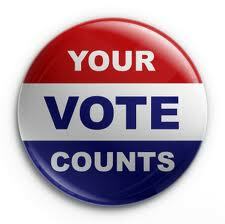 - DO be sure that you are at the correct polling site. Also, know when your site closes. - DO wear warm clothing (if necessary). You may have to wait outdoors and you don't want the cold to deter you from voting. - DO thoroughly read and follow the instructions for voting at your polling place. If you do not understand something, ask! - DO bring a snack with you. Just in case the lines are long and you get a little hungry. Bring extra for your fellow voters if you can. - DO bring your medications. In the event of a long line, you don't want to lose your place if you need to take your meds. And bring water! - DO volunteer to bring those who need a little extra help to the polls. - DO NOT bring campaign paraphernalia with you to the polls. - DO NOT leave without voting! New York - According to the New York State Board of Elections, Governor Cuomo has signed an Executive Order "which provides for a voter who is a resident in the federally-declared disaster counties of Nassau, Rockland, Suffolk, Westchester and of New York City (which includes Bronx, Kings, New York, Queens and Richmond) who have been displaced by Hurricane Sandy too vote an affidavit ballot at any poll site in New York State, other than their regular poll site." There are some restrictions, so please see the New York State Board of Elections website for more information. New York City - Please see this notice regarding Poll Site Changes Post Hurricane Sandy from the New York City Board of Elections. New Jersey - The New Jersey Department of State has issued a directive to county elections officials to permit New Jersey registered voters displaced by Hurricane Sandy to vote electronically. This directive is also applicable to first responders who have been displaced. For more information, click here. I hope this information is helpful. Please be sure to vote. Also, follow and join me tomorrow night on Twitter as I live tweet Election Day results...from my parents' couch! Happy Voting!